You no longer have to hope that you age gracefully once the fine lines begin to appear because there are ways to halt the process. Neurotoxins can be injected into the face to fight against gravity and prevent the skin from sagging. It also slows down the process that makes the creases that form around the muscles in the face become permanent. Botox® used to be the most popular injectable toxin but there is a new treatment in town called Jeuveau™. Jeuveau™ is also a neurotoxin like Botox® and it can be injected in between the eyebrows or at the corners of the eyes to stop the natural muscle contractions that form the wrinkles. It can also prevent new lines from forming and smooth out the old ones which could potentially deepen with time. Jeuveau™ is meant to be a play on the French word “nouveau” which means “recent” or “modern” and patients will evolve with the product as they move forward in their journey towards youth. Jeuveau™ is actually a 900 kDa purified botulinum toxin formula type A which can temporarily improve the appearance of moderate to severe wrinkles in adults. Jeuveau™ is produced following the strictest quality standards in top-notch facilities where only this specific drug is manufactured. Its safety has been evaluated through a clinical study with over 2,000 patients. FDA has approved Jeuveau™ because the drug has passed two clinical trials in the U.S with double-blind placebo studies. Both trials displayed efficacy and met their primary goals by reducing the glabellar lines over a 30-day period. 65.7% of the patients in the first study and 70.4% of the patients in the second one were successful in producing improved results. Until now there were not many options in treatments and the three most common toxins used to smooth out the lines were Dysport®, Botox®, and Xeomin®. These three are the only ones that passed the FDA criteria and Botox® has dominated the market since 1989. The demand for a non-invasive anti-wrinkle treatment has grown exponentially and according to a study by the American Society of Plastic Surgeons over the last 17 years it has grown by over 819%. There were 7.2 million procedures performed in 2017 as opposed to the mere 786,911 carried out in 2000. The most exciting thing about Jeuveau™ is that when it is available commercially the price is projected to be 25% lower than Botox® treatment. The company behind Jeuveau™ is Evolus and they were convinced that they wanted to enter the medical aesthetics industry. 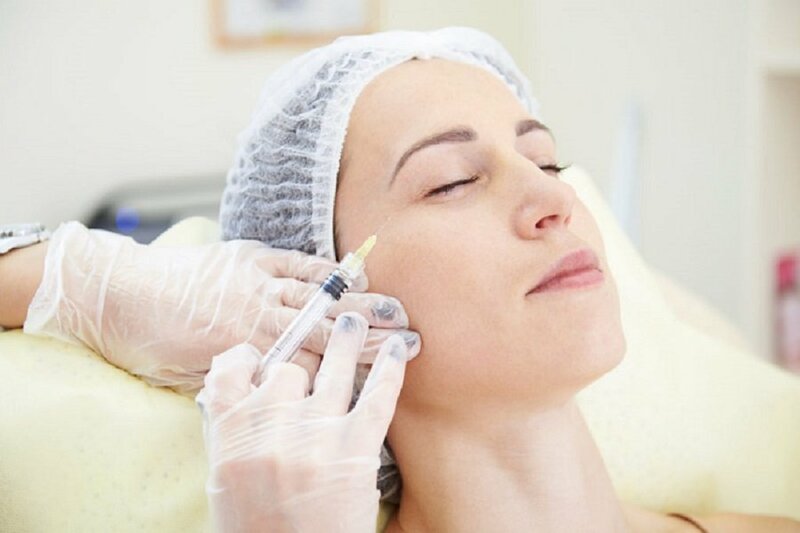 The largest category in this sector is neurotoxins since wrinkle reduction is the most popular procedure and Allergan has been dominating in the market and owns 70% of the market share while Dysport® has captured 20% and Xeomin® only has 10%. Neurotoxins generate a $1.2 billion revenue on the U.S. alone. With another player in the field, the sales for these companies will drop and there will be a tough competition for the customers. Jeuveau™ also enjoys another advantage over other neurotoxins that it is only developed for aesthetic purposes. The company is more flexible in its pricing as it is not restricted by the government reimbursement. This is what led analysts to believe the drug will be cheaper than the other forms. Focusing their efforts only on the aesthetics market will also help the company create a better promotional strategy. Jeuveau™ is a prescription drug that can be injected in the muscles of adults to temporarily freeze the nerves and improve the look of glabellar lines which are frown lines between the eyebrows. These neurotoxins are successful at paralyzing the muscles in the face to smooth them out and make the patient look younger. The drugs are injected into the face and it is a non-invasive and safe procedure that is widely used to treat wrinkles. Since Jeuveau™ has been approved by the FDA it is completely safe to use. FDA is the Food and Drug Authority which has set the gold standard for safety and efficacy for medicines. Jeuveau™ has enjoyed success in the Korean market where it was launched in 2014 by the name of Nabota. This also provides data on the results of Jeuveau™ outside of a controlled environment. There have been no reports of bad side effects or adverse complications from the use of Jeuveau™. The same molecule as the one used in Botox® is in Jeuveau™ and Botox’s track record proves that it is clinically safe. Jeuveau™ is to be injected into the patient’s face after several months but the label on the drug does not provide any indication for the duration of the treatment. This is because the effectiveness of the toxin was not measured in terms of time period because the FDA does not require these results to evaluate the medicine. Jeuveau™ is almost the same as Botox® treatment since both are extracted from the same type of bacteria. Botox® is basically a neuromodulator and Jeuveau™ works on the same principle to smooth out the creases in the face. Botox® is an established brand and is not the name of the standard neurotoxin drug. For example, LG and Samsung are two different companies producing the same type of TV, similarly, Jeuveau™ and Botox® are two different neurotoxin brands. Jeuveau™ is the latest addition to the neurotoxins game and even though it is the same as Botox, the drug do not enjoy the advantage of an established track record. However, it is expected that Jeuveau™ will also build a loyal consumer base soon because of the price point. The ultimate decision is based on the personal choice of the patient and the experience the administrator has had with the brand. However, Jeuveau™ follows the same procedure as the other brands and will be accepted by all aesthetic clinicians. Although all the drugs used for aesthetic treatments contain the same formula, the safety and effectiveness profile for Jeuveau™ is similar to the one of Botox®. Therefore, the injectable can be substituted for one another. Those who have had Botox® injections in the past can also switch to Jeuveau™ now because they are essentially the same treatments. Jeuveau™ is a neuromodulator and will produce similar results to Botox® in the patient. The reason for the interchangeability of the drugs is not because the compound they contain is similar but because they have the same efficacy profile. There were no concerning side effects reported for the drug in both trials which is another encouraging fact. An anti-wrinkle treatment at a discounted price is likely to create a strong force in the market and aesthetic clinics should be prepared to use it. Market analysts predict that the drug will capture a sizeable part of the shares which has led to the need of healthcare professional requiring Jeuveau™ training. The certification for Jeuveau™ is the same as Botox® training except that it helps administrators get more comfortable with the drug. The instructors can answer any questions the participants might have about Jeuveau™ and help remove their apprehensions about using a new type of injectable. The training is open to healthcare professionals who want to enhance their skills and augment the services offered by their clinic. Certification is necessary in order to be able to inject a patient with Jeuveau™ or any other type of neurotoxin. Patients only trust clinics that employ medical professionals with the necessary skills. It is not only a legal requirement but also one that is needed to attract new clients. Those who already have a Botox® training can also take a refresher course and ease the concerns of any potential patients. It will be difficult to explain to clients that the drug is of the same type and a training certification can answer all their questions. The training provides hands-on experience to the participants as well and equips them with everything they need to expertly inject the Jeuveau™ into their facial muscles to produce impressive results. Please note: Botox is a registered trademarks of Allergan Inc., Dysport is a registered trademark of Galderma and Xeomin is a registered trademark of Merz Pharmaceuticals, LLC.